First of all, sorry for last week’s absence. I had a close family friend pass and our commander-in-HOHM thankfully gave me some personal time. But, back at it now and boy is this a good one! It’s a fun series I started during the holidays that doesn’t require the same research and is more of a fantasy world that I thought it would be enjoyable to write about and give my opinion on. You can find the rules I used to make the deals and the first set of deals in Part One and the next few trades in Part Two. There are 25 teams with captains, so far we have covered most of them. The teams that remain are Edmonton, Montreal, Nashville, New Jersey, Pittsburgh, St. Louis, San Jose, and Washington. 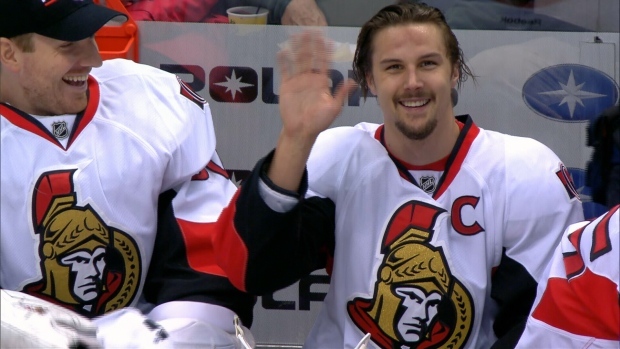 That leaves some big (hypothetical) deals left – so let’s get started buddy! The Scenario: Marc Bergevin decides to reveal the final phase of his original P.K. 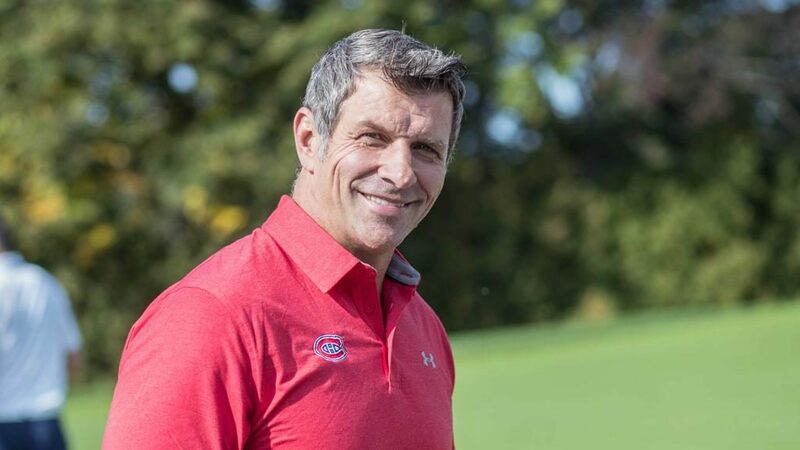 Subban/Shea Weber deal – he saw how (surprisingly) mediocre the Canadiens would be in a few years and knew the a revitalized Weber would be the perfect trade bait for a team that loves its older, slower players – Bergevin was fooling us all along! The Deal: Montreal acquires Anze Kopitar and Drew Doughty for Shea Weber, Karl Alzner, Jonathan Drouin and a 1stround pick in 2019. Why it would work: Montreal’s weakness has always been the middle of the ice. Alex Galchenyuk was drafted to be that guy, he proved to be a winger. Drouin was brought in to be their number one guy, he proved to be a winger. Max Domi was traded with the chance of being a center, and well, he’s actually doing OK. Some combination of Jesperi Kotkaniemi and Max Domi may be the 1-2 punch of the future, but if Montreal thinks it is closer than it is to winning it needs a true number one. Hence Kopitar. It swaps two of the best defencemen in the game for each other, however with LA rebuilding they will appreciate the over $3 million difference in Doughty and Weber, even if Weber is older. For LA this deal is all about starting the rebuild. You can chip away at the pieces but if you want to start from scratch, what better way than blowing up the core? LA would still be getting a top-pairing guy in Weber, even if it means having Alzner attached to the deal. The real win for the Kings is getting 23 year old Drouin and and the first round pick. As well as ample cap space. Doughty and Kopitar are making $21 combined and the way the NHL works now teams pay players by projecting what they will do (hello, Willliam Nylander!) as opposed to paying for past service. Why it wouldn’t work: LA definitely needs to start the rebuild, and Drouin and a first would certainly help. That being said teams rarely trade franchise icons, especially after just signing long-term extensions, and never trading two of the best players in franchise history in one go of it. Also, I think Bergevin would jump at a deal like this, but I also don’t think that he thinks the Canadiens are close enough to contending to just need one or two pieces, even if those pieces are a number one center and #1 defenceman. The Scenario: The Blues are really feeling well, the blues, these days. Maybe it’s Tyler Bozak’s time spent with the Leafs during their darkest days that has creeped into the Blues’ mindset. Those were, dark, dark times. Anyways, St. Louis makes a trade, because why wouldn’t they at this point? The Deal: The Sharks acquire Alex Pietrangelo and Tyler Bozak for Joe Pavelski and Tomas Hertl. Why it would work: First of all, (dad joke alert!) the dollars make cents – but honestly, it’s almost a perfect match money-wise. Clearly there is something that needs to change in St. Louis and the talk of the town has been a leadership shake-up with either Pietrangelo or Tarasenko. It makes sense for St. Louis to keep Tarasenko as he is an incredible talent and the Blues still have Colton Parayko so the defence wouldn’t be too affected. The Blues have Ryan O’Reilly giving them a monster season but could use an upgrade on Tyler Bozak, which is where Pavelski comes into play. With the season starting off terribly, but St. Louis recently climbing to within 4 points of a wild card spot (as of writing) they may want to look at giving it a little bit of a push this year with all of the money invested in this season between Patrick Maroon, O’Reilly, and Bozak. Plus having the certainty of Hertl locked up long-term will be a good prize with nearly half of the roster is either unrestricted (UFA) or restricted free agents (RFA) this off-season. San Jose could decide that to give it their best go for this season and next they need a bit more cost-certainty so they take that same amount of money from Hertl and Pavelski and maybe take a bit of a hit in the middle of the ice, but they would hope for some late season heroics from Joe Thornton and Logan Couture in the middle of the ice with Bozak as a number three guy. The biggest piece of the deal is Pietrangelo. The Sharks would go from having arguably the best defence corps in the NHL to it becoming an inarguable fact. Plus, with Karlsson unsigned, Pietrangelo adds a level of confidence for next season with the extra year on his contract. 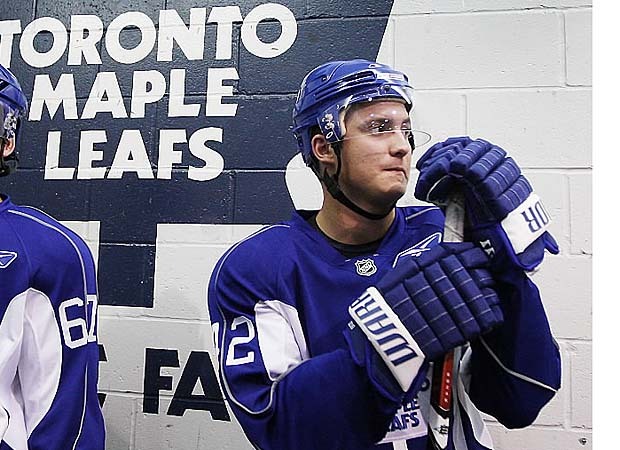 Why it wouldn’t work: Nobody wants Tyler Bozak’s baggage. It’s just not that fair of a deal for San Jose, although it could become more feasible with some picks or prospects that the Sharks didn’t give to Ottawa in that rip-off of a deal. The Scenario: Peter Chiarelli is in charge, isn’t that reason enough that Connor McDavid could be moved? The Deal: Chiarelli decides to move a superstar for a bunch of lesser pieces, as per his norm – only this time he gets to do it with world’s current best player. The Oilers send McDavid, Cash Dump (Milan Lucic) and Cash Dump (Andrej Sekera) for Roman Josi, Ryan Johansen, Viktor Arvidsson, and Juuse Saros. Why it would work: The Predators get the best player in the NHL and still have one of the deepest talent pools on defence if they move Josi. Sekera would be overpaid, sure, but could still be serviceable and the money almost equals out two with the cash dumps. Plus who knows, maybe Lucic is turning it around after having scored more goals in 2019 than he did in 2018 and it’s only 16 days in. I’d like to thank all my fans for supporting me while I scored all of that goal last year! The Oilers would become a legitimate threat with an actual number one defenceman patrolling the blue line, and a pretty good one/two combo up the middle with Leon Draisaitl and Johansen. Not to mention the scoring winger they never gifted McDavid with Arvidsson, drawing in, and a potential number one goalie in Juuse Saros. 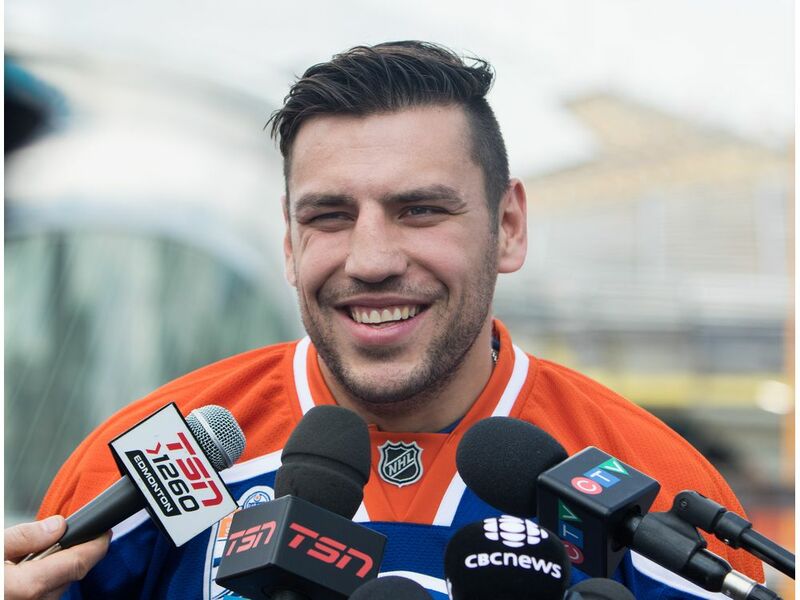 Did I mention they get rid of Lucic too? Why it wouldn’t work: Chiarelli would never trade McDavid (maybe?) and the Predators don’t want to be the next Edmonton Oilers. I know it would 99.9999% never happen yet I’m still really trying to convince myself Chiarelli wouldn’t trade McDavid if he wasn’t fired after this season (not-so-hot-take alert!) and I can’t. That’s sad. The Scenario: The one you’ve all been waiting for! For this scenario, everyone in Pittsburgh and Washington is drunk. Literally all of the staff, management, and ownership. No one thinks it’s that bad of an idea. Everyone sings “Why can’t we be friends?” while making the trade. The Deal: Crosby for Ovechkin. Boom. What a deal! 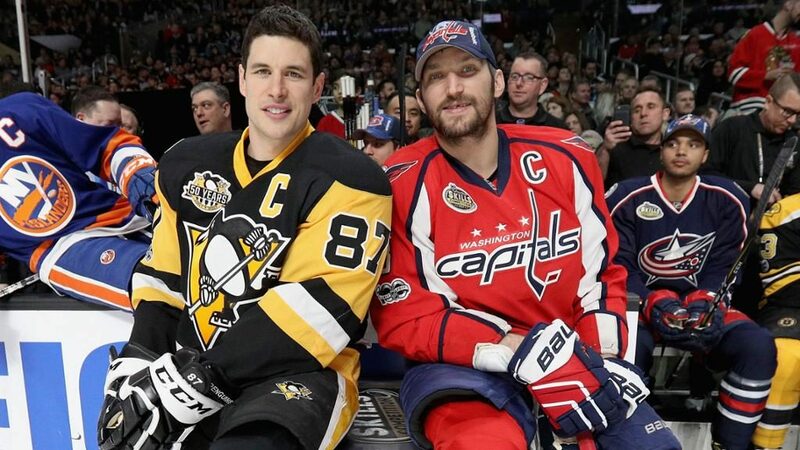 This week on Switching Places: Crosby and Ovie! But that’s not fair, not straight up anyways. And these hypothetical captain for captain deals need to make some sort of sense for both teams. Crosby in younger than Ovechkin, a better player, and plays a more important position. For this to work Pittsburgh get to dump Jack Johnson, as well as getting a young winger with potential in Jakub Vrana, another winger on an expiring deal in Brett Connolly and a Washington’s next two first round picks. The Penguins still have an all-world centerman in Evgeni Malkin and Derick Brassard could finally be the second line guy he has always excelled as. And imagine Malkin with Ovie and Phil “The Thrill” Kessel on each wing? What show. Plus depth and potential are never a bad thing so Vrana and Connolly could still help this year and beyond. The Capitals would have three number one centermen, but I see them moving Backstrom or Kuznetsov to the wing in this deal. Plus, as great as Ovechkin is, he’s still couple of years older than Crosby and will never be the all-around elite player that Crosby is. As for Johnson, it’s not ideal to take on his contract but it could be moved with a pick or even traded to Seattle (along with another asset or assists) down the road to protect other players. Not everyone in both of those organizations is drunk at the same time… I hope. Stay tuned for next week’s Throwback Thursday article, where I actually talk about hockey history again!